Never Trump ‘Republican’ Ana Navarro went ballistic after Republican Rep. Steve Montenegro called her a ‘liberal’ on CNN. 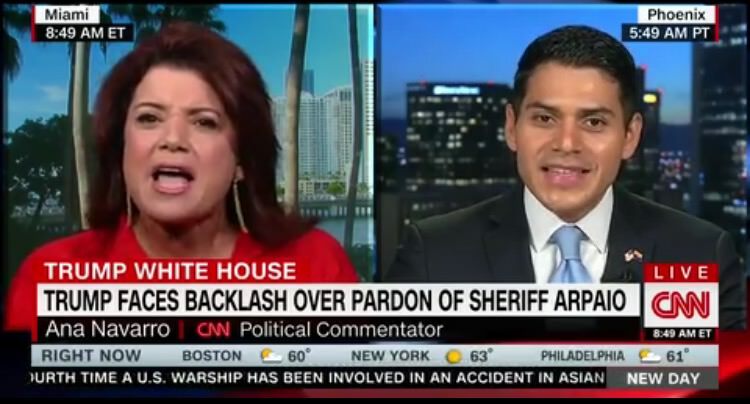 Ana Navarro and Rep. Montenegro were arguing over Trump’s pardon of Sheriff Joe Arpaio when Montenegro called Navarro a liberal. “Ana, anybody can say that they’re a Republican. Granted, you are a Republican, but you’re also a liberal and you can’t run away from that. The reality is that you voted for Hillary Clinton so let’s be honest about what we’re talking about here,” Montenegro said. “We’re talking about a narrative that tries to pin conservatives and Republicans as racists just because we follow the rule of law,” Montenegro continued. Ana Navarro had a complete meltdown after she was called a liberal. She kept screaming, “why am I a liberal? !” as she admitted to supporting Obama-era DACA. Navarro also used another liberal tactic by playing victim and highlighting the fact that she is an immigrant with an accent…as if that means anything. 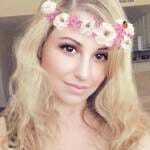 She voted for Hillary Clinton and hates Trump. It’s time she gets called out for being a turncoat! Michael Caputo also blasted Navarro and called her out for her ties and donations to other Democrats such as Debbie Wasserman Schultz.